Courtesy of Julie Zins, The Zins Company, LLC. 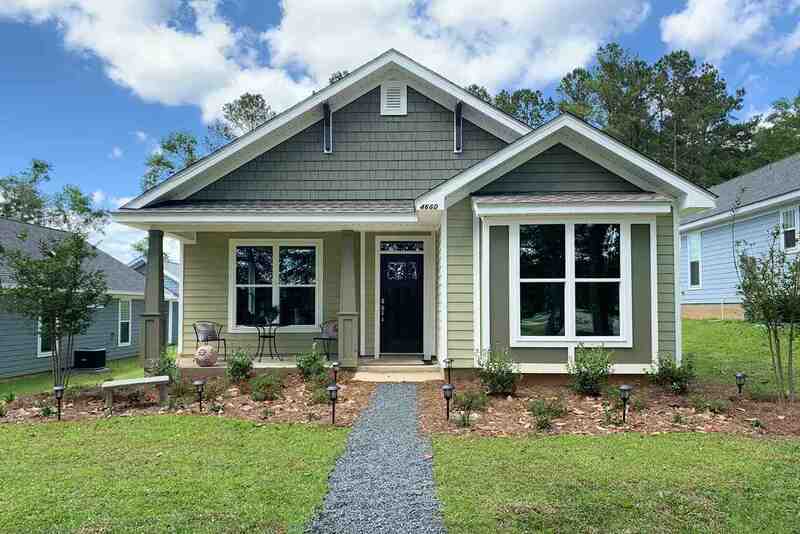 BEAUTIFUL CHARLESTON MODEL. REAL NATURE- ESTABLISHED COMMUNITY OF PINEY-Z. SINGLE LEVEL LIVING. Walk out your front door and enjoy the community POOL, playground and walking trails from this elegant home. High Ceilings, Custom Built Wood Cabinets, Granite throughout, Hand scraped Wood floors, Entertain in this dream like kitchen with 11′ Granite Island & Whirlpool stainless steel appliances, Designer lighting included and ample natural light. Large Rear Patio for entertaining. OVERSIZED Two-Car attached garage. Southern Living Front Porch Larger .25 acre lot. Minutes to shopping, restaurants and the Mall. OTHER FLOORPLANS AVAILABLE AND COMING SOON. Please, send me more information on this property: MLS# 305204 – $299,900 – 4660 Heritage Park Boulevard, Tallahassee, FL 32311. I would like to schedule a private showing for this property: MLS# 305204 – $299,900 – 4660 Heritage Park Boulevard, Tallahassee, FL 32311.